I pinky swear that I tried to rest yesterday, Mom. I had good intentions. I know that I promised you I would. 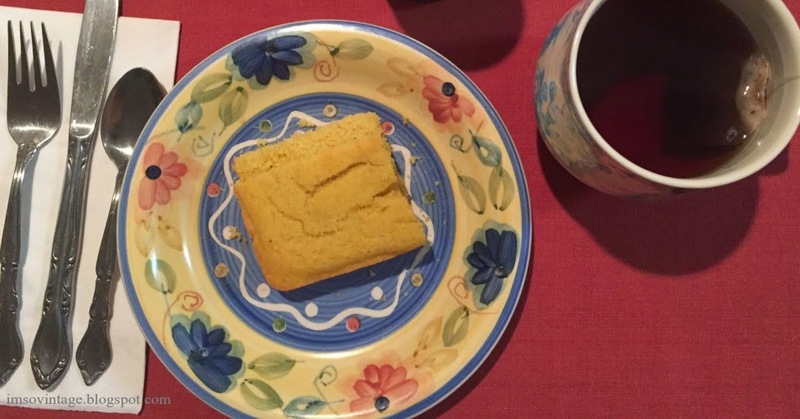 I made myself some gluten free cornbread and a nice cup of tea. I settled myself in my bed and was ready to just rest and watch some Christmas movies. That's when I looked over and saw it, just sitting there so bare, and calling my name. I swear I heard it calling, Laura, get up and do something with me. You made me, but then you just abandoned me. I need to be dressed up. Get out of that bed. Okay, I know Christmas is coming, but I really hadn't planned to decorate this year. And then I thought about the front door. What will people think if it is bare? BUT, I told myself I'm getting older and I don't care what people think anymore. Oh rats. Alright, you win, I'll get up and do something with you. I can't stand that you are looking so pitiful over there. SIGH!!! Fortunately I had everything I needed. I drew the line at going out shopping. I didn't want to have to explain that to Mom. There were these cute bells that I bought at auction last month. Some pretty cotton ribbon that I picked up on sale at the fabric store a while back. The pine cones and berries were already in my stash, so all I had to do was put it together. It really didn't take that long, Mom, and it turned out just like I wanted it. 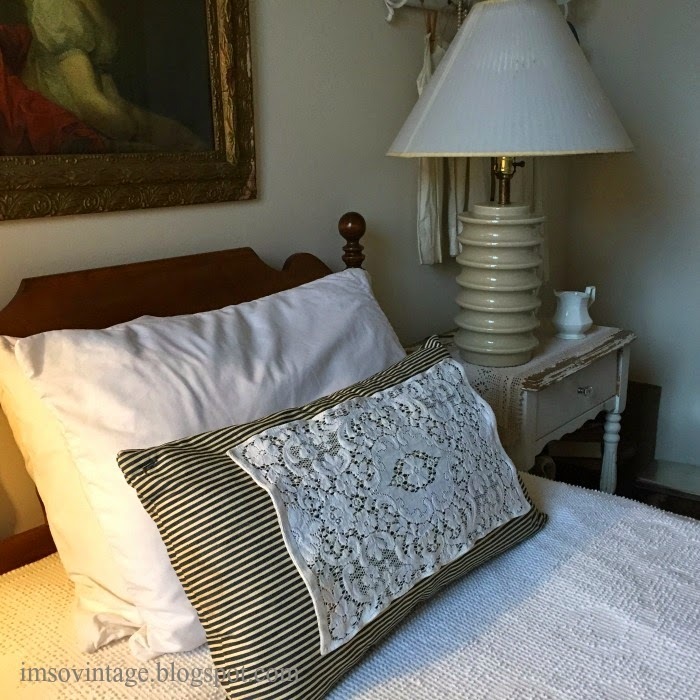 Traditional with a rustic flair. Besides, I got right back into bed after that. Well, maybe not. I might have created something else. What's a mom to do with a daughter like me? It just might be too late. Thanks so much for all of your prayers for Katy. She is in the hospital, but the last I heard, they are consulting with her New York specialist and she is going to prescribe the correct antibiotics so they can get started on them this morning. I'll keep you updated. I'm keeping your sweet daughter in my thoughts, Laura. I love those bells you got! 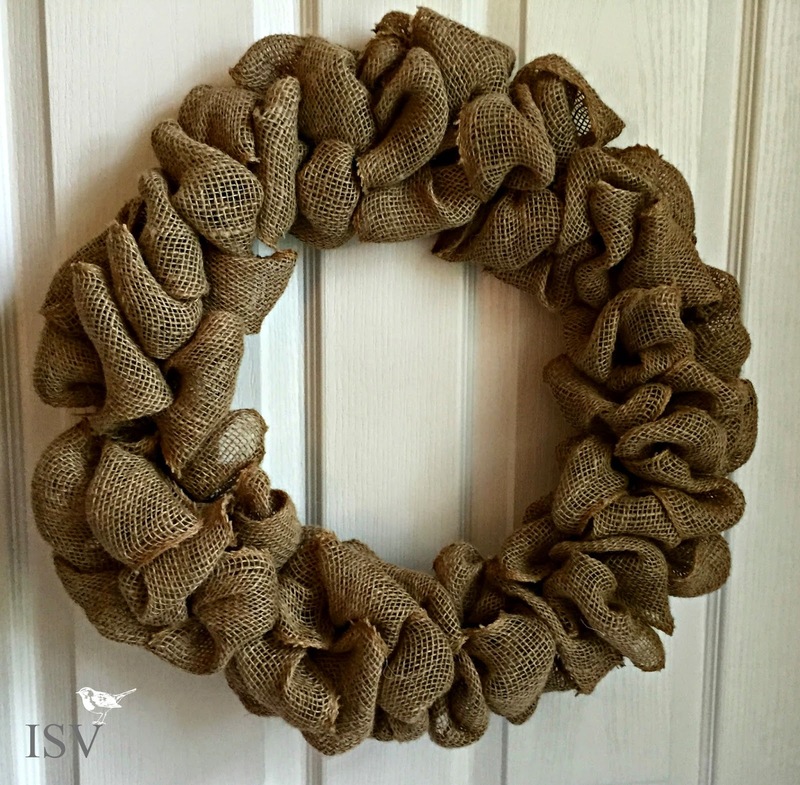 And I have to say, I think your true calling in the world of crafting is for sure wreaths. You excel at wreaths and they are so pretty they should be money-makers should you decide to devote more time to them. I know! WHERE does the time go? Thanks, Brenda. It seems that I used to have a lot more energy than I do now. 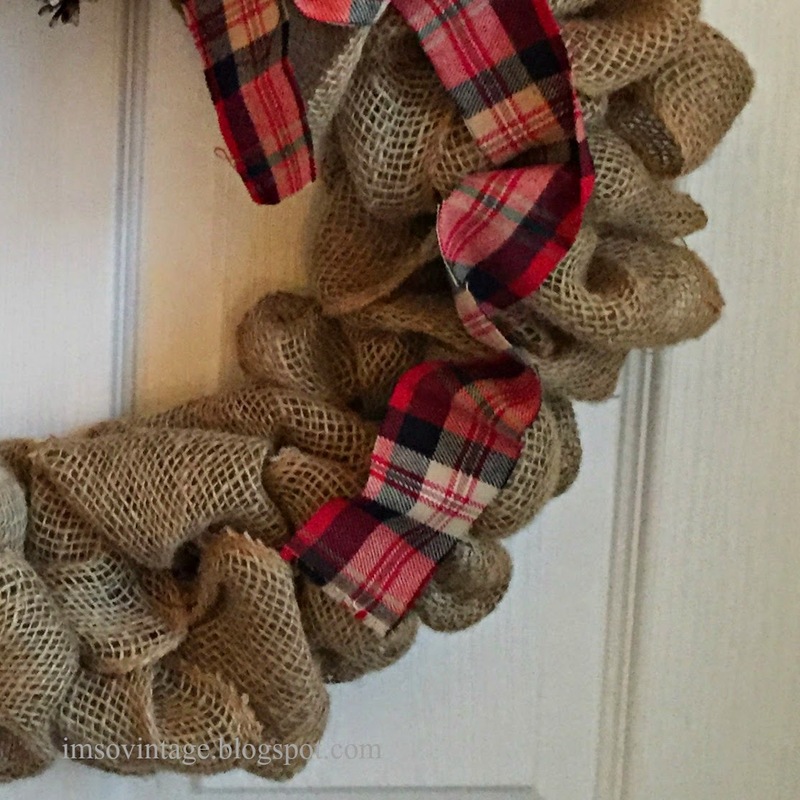 I am definitely going to try and get some wreaths done after the new year. Just too much going on now, and I am waiting to see if I may need to go down to Georgia. Dear Laura, I will keep you and yours in my prayers. I am sorry that you are not feeling well. I am glad that your wreath called to be decorated. You did a beautiful job. The wreath looks so cute. I am keeping you and Katy in my prayers. Thanks, Katie, I appreciate it. I think your new wreath is lovely. Love the addition of the plaid ribbon.I'm sorry for the illness in your family and sending warm thoughts to you and your daughter Katy. Wow! 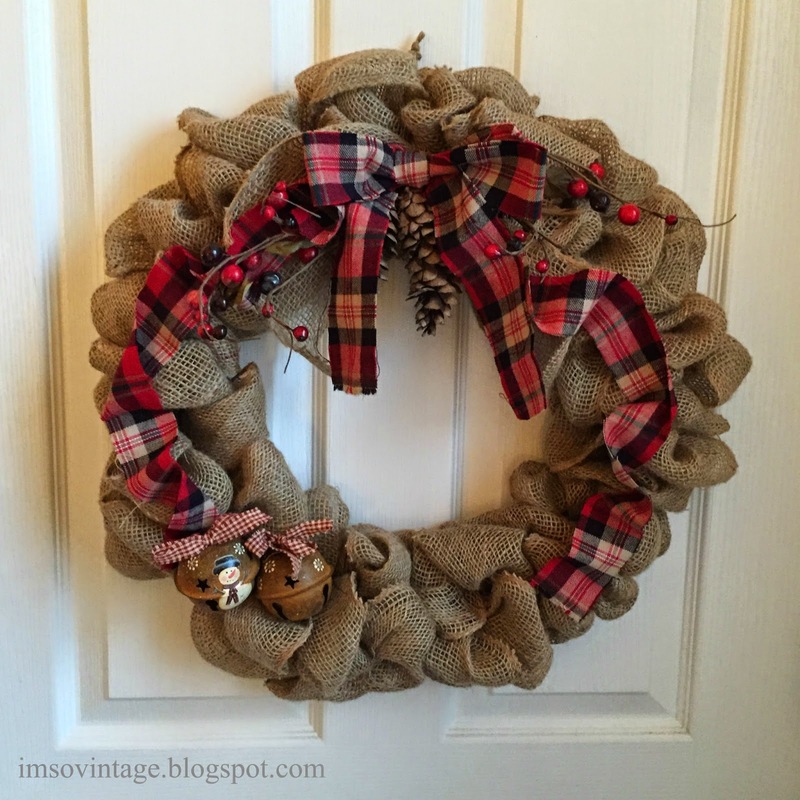 That wreath looks amazing! I love what you added to it. I'm impressed. I think it would be pretty on your front door. Hope you and Katy get better soon! Laura, I'm so glad 'things' talk to you also! It is adorable! Glad you girl is doing better, continued prayers. Thank you so much for this lovely post. All the best to your daughter. 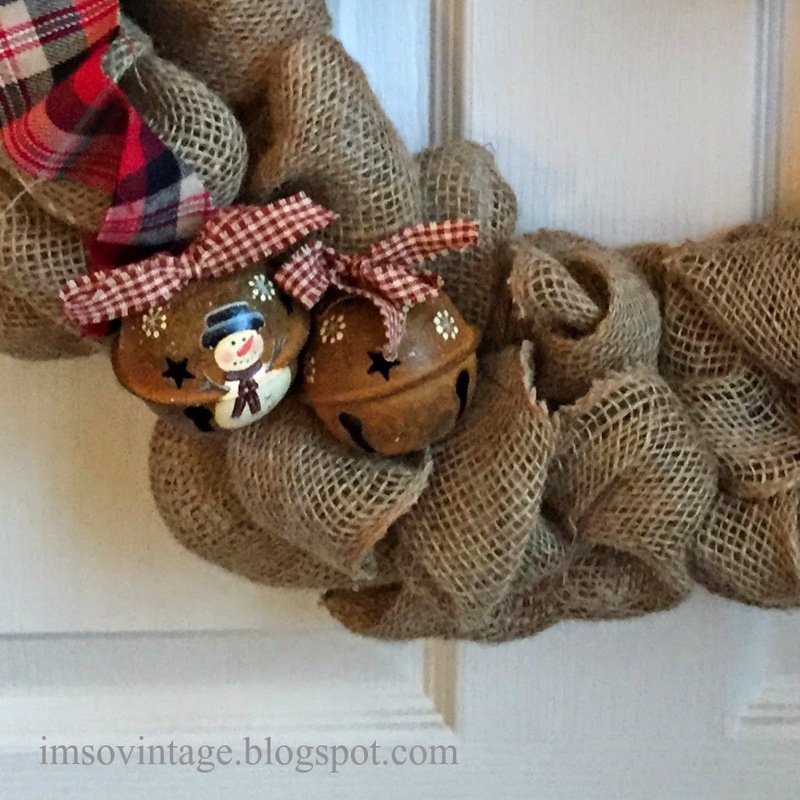 Very cute- I am loving the burlap wreaths. I hope your daughter has a speedy recovery. Blessings.